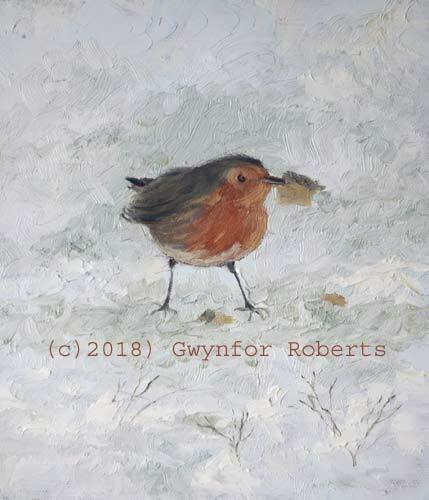 This oil on linen, size 19 x 22 cm captures a Robin Red Breast eating his lunch. It came about with the recent snow fall (March 2018) and I noticed him returning, seaching for food under a small bush sited just outside our kitchen window. Couldn't resist painting this little chap, he's now forever, a painting on canvas - if only he knew.